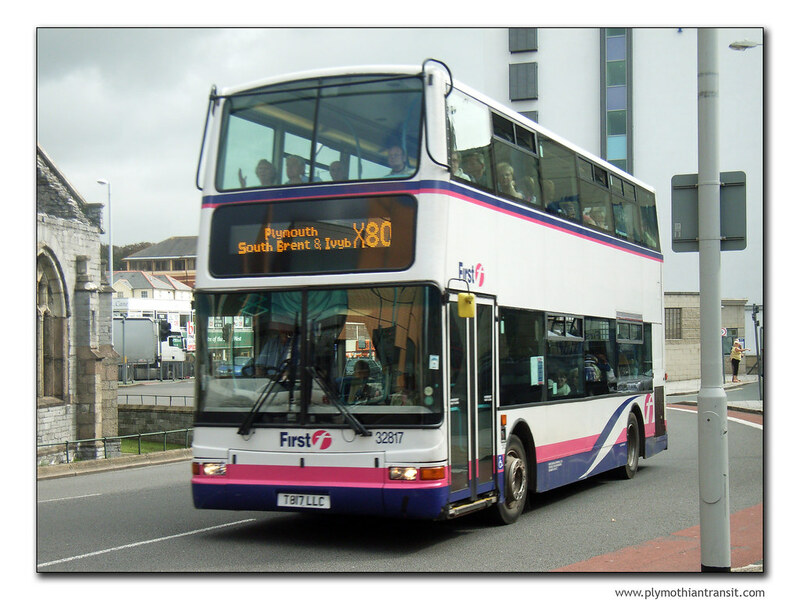 Variation Accepted: Operating between PLYMOUTH Bus Station and TORQUAY, Torbay Hotel given service number X80/X81 effective from 31-Jan-2010. To amend Timetable. Variation Accepted: Operating between TORBAY HOSPITAL and TORQUAY MIDDLE WARBERRY ROAD given service number 64/65 effective from 31-Jan-2010. To amend Route. Other Details: Every 30 Minutes Mon- sat 2 hourly Sunday & Public holidays. Variation Accepted: Operating between LANGAGE, PLYMPTON and LANGAGE, PLYMPTON given service number 53/53A effective from 26-Jan-2010. To amend Route and Timetable. Variation Accepted by SN: Operating between Royal Parade, Plymouth and Derriford given service number 14 effective from 04-Jan-2010. To amend Timetable. The X80 X81 is a bit of a mystery but it looks like the X81 shorts will now just be running between Paignton and Torquay rather than from Totnes as they do at the moment? I am sure all we be revealed in due course as First are very good at giving plenty of notice of new timetables. I suspect that the X80/1 registrations are a tidying up exercise to split the routes at Paignton and bring them under domestic drivers' hours legislation. I seem to recall that when Stagecoach began the X45 Paignton - Plymouth part of the reason for beginning from Paignton was that to start from Torquay on one registration would take it over the divide between domestic and EU hours. Believe their Totnes outstation is to close in the New year, which may explain a bit? Thanks for the confirmation Marc!